GROWING BANANAS IN SOUTHERN CALIFORNIA! Mark Steele, a CRFG member and a member of the Los Angeles chapter, is an avid fruit grower who lives in Ventura. His small yard is packed with various fruiting plants, especially bananas. He currently grows about 20 different varieties of bananas, most of which he has succeeded in fruiting. He became obsessed with bananas after receiving one as a birthday gift from a friend about seven years ago. Mark is a professor of biology at CSU Northridge where he teaches various marine biology classes and does research of marine fishes. His talk will cover the basics of banana biology and provide advice about varieties that do well in Southern California and how to grow them. If you have eaten a home-grown banana, you know that they are very much sweeter and tastier than those you buy in the grocery store. According to the CRFG Fruit Facts, bananas are “fast-growing herbaceous perennials arising from underground rhizomes,” not trees. They are a plant that can be grown quite successfully here in Southern California if they are given proper soil conditions and are protected from temperatures below freezing. Mark will tell us more about how to do this successfully. 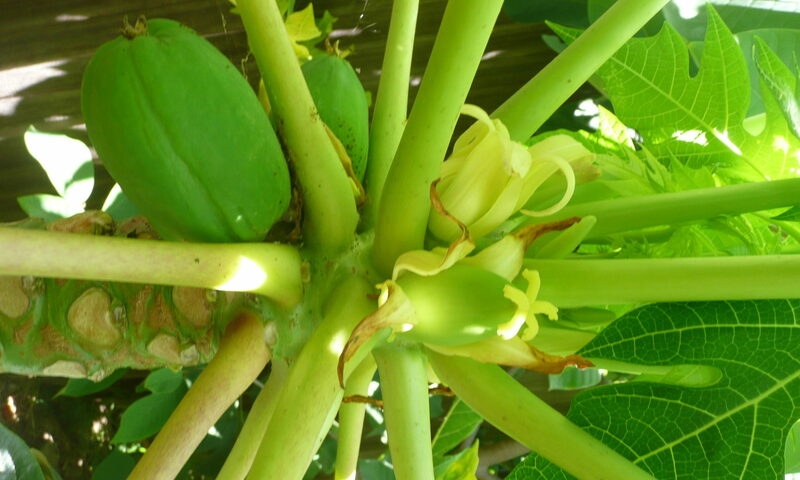 Plan to come and learn a lot more about growing bananas! Also please bring fruit and other treats to share with our members. Please bring any plants that you have to raffle or sell! Sharing plant material and related information is what CRFG is all about. Next PostNext Field Trip September 9th @ 10 a.m.